Our skating season usually runs from September through March/April. You can join us as a guest at any time! We encourage our skaters to race because it's just a lot of fun and encourages steady development but if racing is not your thing--don't worry, you are still very welcome to join us just to do some skating! We skate at the Saratoga Springs Ice Rink on Weible Ave.
As a speedskater, you can choose among many different paths to take or even mix and combine them! Short Track Skated on a "short track", usually 111 to 100 meters on an indoor hockey rink. Long Track Skated on championship size ovals of 400 meters, or on tracks set up on outdoor natural ice that range anywhere from 100 meters to over 1000 meters. Marathon Skating Skated either on 400 meter oval tracks or natural lakes and rivers on tracks of varying size. Some skaters choose recreational skating and do not race. They practice, get coaching, work on their technique, work out to get in shape, stay fit, or cross train for other sports. Other skaters like the thrill of racing and compete at a level in line with their ability. Competitions are available for novices on up through world level throughout the U.S. during the season in all forms of speedskating - short track, long track, and marathon. In addition, competitions are organized into different formats you can choose from. "Pack style" is the most common with a group of skaters going to the start line all at once and racing each other for a finish position. "Time trials" or "metric style" competitions are also held where skaters compete only against the clock and themselves. Skaters are grouped by age class and/or ability to provide a fair and rewarding experience for all participants. ﻿Watch Tom Porter's excellent talk on the history of Saratoga Winter Club. Deeply researched and full of historical photos! You can not talk speedskating in The United States without including the Saratoga Winter Club. The Saratoga Winter Club has a rich and glorious history. It began as the Saratoga Toboggan Club in 1888. 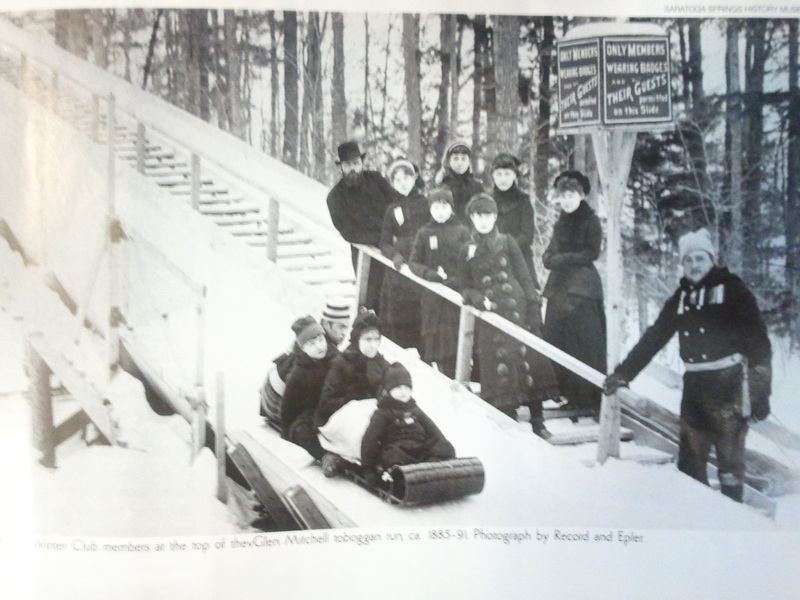 A toboggan slide, not as big as the Lake Placid Ski slide but similar to it, shot toboggans out on to Saratoga Lake. 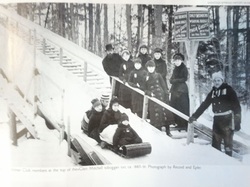 Winter activities such as skiing and ice skating were added along with the coronation of a Winter Snow Queen. In the early 1900’s the name became The Saratoga Winter Sports Club and then by the 1930’s the name changed to the The Saratoga Winter Club. The major winter event was the Eastern States Outdoor Speedskating Championships. Held at the Eastside Recreation field, it attracted speedskating champions from around the country. Club members John Wurster, 68 and 72 US Olympic team member, Rich Wurster, 72 Olympic team member, Pat Maxwell, 84 National and World Team Coach plus 88 Olympic Short track team coach, heightened these competitions. Other local skaters such as Perkins, Towne, Rossie, Kiley, Bruso, Biggie, Purdy, Lynch, Riley, Spencer also reinforced the Saratoga Winter Club name throughout the country. In 1988 speedskating moved indoors. The long track events were still held outdoors on 400 meter ovals, but the short track events were indoors on 110 meter ovals. The Saratoga Winter Club skaters excelled in both disciplines. A partially enclosed ice rink was built in 1970. In 1993 the City of Saratoga Springs built a fully enclosed Olympic-size ice rink on Weibel Ave. The Saratoga Winter Club has always been affiliated with national and international organizations, such as the Northern New York Speedskating Association, the Amateur Skating Union of the United States, the United States Speedskating Association, and the International Skating Union. In 1976 the club was officially incorporated as a not-for-profit 501(c)(3). Saratoga Winter Club skaters continued to excel in the 1990’s with Olympic team members Moria D’Andrea, Kristen Talbot, David Tamborino and Erin Porter. The Saratoga Winter Club's winning tradition continued as Trevor Marsicano, brought home a Silver Medal from the 2010 Winter Olympics in Vancouver.